Why We Need a Carbon Tax V. We’re Playing with Matches! Just a few days ago I featured an Op Ed column in the New York Times “The Coming Climate Crash” by Henry Paulson, the former Secretary of the Treasury. He discusses global warming as an economic issue. The increasing number of severe storms, deeper droughts, longer fire seasons and rising sea levels it will cause will wreak tremendous economic damage on our country and the whole world as well. In addition to the large scale economic effects referred to above, global warming will affect each of us in a very direct way. 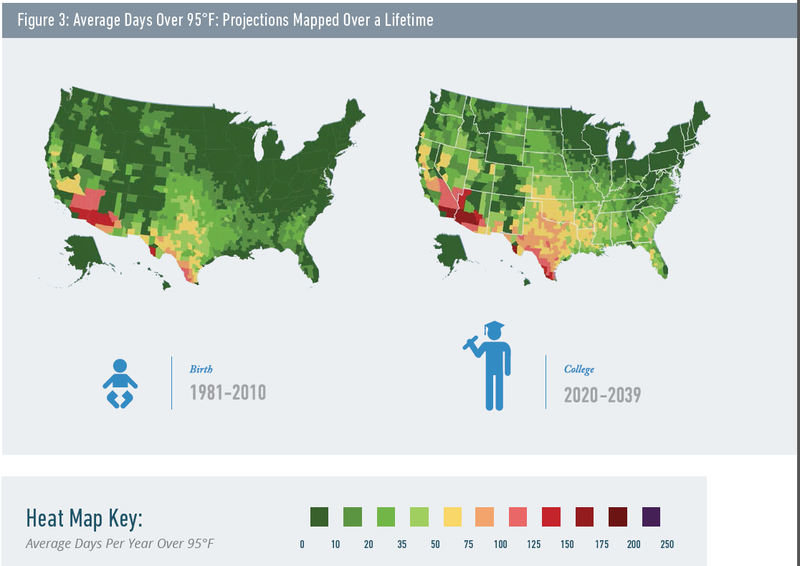 For example, in Omaha NE where I live, in just a few short years the current average of about 10 days per summer with a temperature over 95 degrees F, will increase to about 25 such summer days. All of these effects are assuming that we continue on our present course of rapidly increasing CO2 build up in the atmosphere. We do have a choice in this matter. We can cut back but it will take a big effort to accomplish this. The whole world needs to cut back and it is up to the U.S. to lead the way. Republicans need to step forward on global warming. It is highly irresponsible to say that any anti-carbon measures we take will just hurt our economy and ignore all of the harmful effects of proceeding on our present course. It is also irresponsible to say that we can’t act unless everyone else does too. If we are exceptional, and I agree that we are, then it is up to us to set an example for the whole world. We need fiscal conservatives in office to address our very serious deficit and debt problems. But fiscal conservative have to win the trust of a wider group of voters to show that they are deserving of broader support. This entry was posted in carbon capture, carbon dioxide, carbon tax, climate change, fiscal conservatives, global warming, Jack Heidel, Republicans, Risky Business Project and tagged Carbon tax, climate change, fiscal conservatives, Global warming, jack heidel, Republicans by jackheidel. Bookmark the permalink.